England has an impressive history of designing and manufacturing desirable gifts for discerning customers the world over. Today, this reputation is still very buoyant as customers from the British Isles and beyond purchase made in England gifts such as jewelry, apparel, accessories, fragrances and leather goods from some of the worlds leading brands such as Aquascutum, Jo Malone, Paul Smith and Burberry. For many decades, English Universities, colleges and apprenticeship schemes have equipped students to learn, innovate and create, keeping 'Made in England’ synonymous with the highest standards of luxury, style and quality. 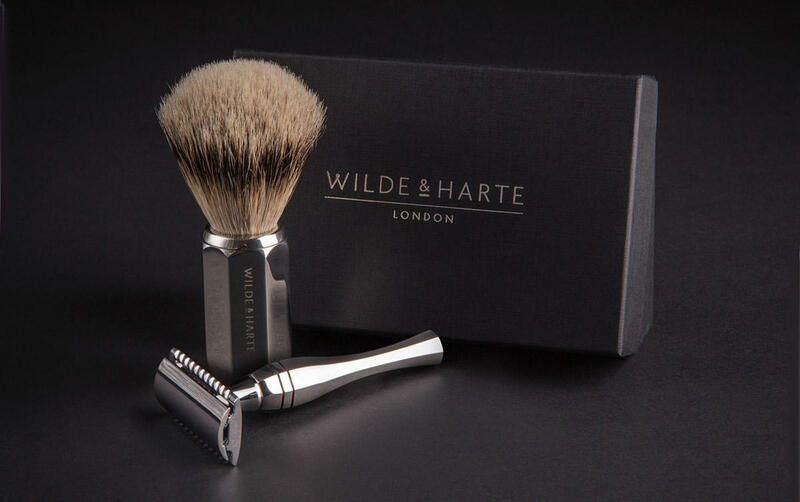 Wilde & Harte proudly design, manufacture, polish and package a choice of razor and shaving brush gifts in England. Our products are created using the latest CAD (Computer Aided Design) software and manufactured using British stainless steel in Sheffield (known during the industrial revolution as the ’Steel City’) before skilled metal polishers apply a mirror finish to each item. Our shaving accessories are presented in premium gift boxes — handmade in England — then dispatched to customers the world over from our London HQ. We believe or luxury razors, shaving brushes and Gift Sets illustrate all that is great about English product design and manufacturing. Our shaving Collections are named after iconic houses and palaces in London — Apsley House, Eltham Palace and Osterley House. Learn more about our Apsley, Eltham and Osterley Grooming Collections for Men.